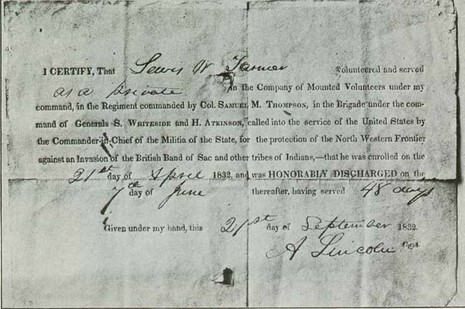 Lincoln's third enlistment was as a private in Captain Jacob M. Early's "Spy Company." 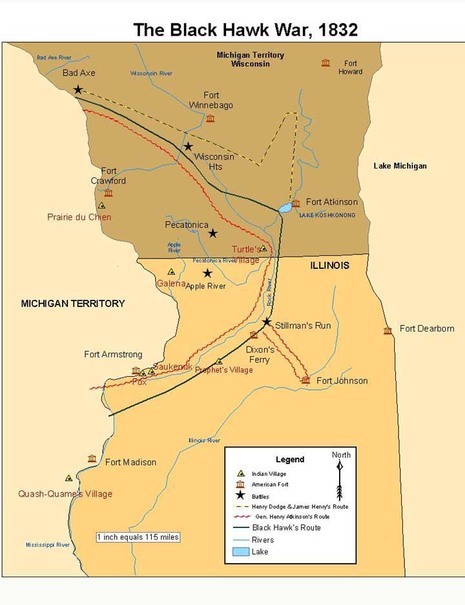 This unit mustered in approximately June 20, 1832, and served as part of General Atkinson’s army as it moved north through present-day Beloit, Janesvilles, the Storr's Lake encampment (west of present-day Milton, Rock County, Wisconsin) and on to the “Trembling Lands” east of present-day Fort Atkinson, Jefferson County, Wisconsin. Atkinson's food supply dwindled, and his solution was to muster out most of his militia. 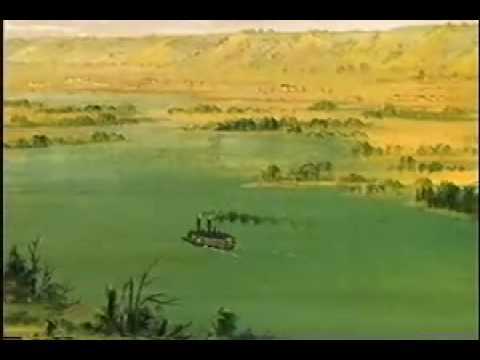 Accordingly, Early's company (along with Lincoln) was mustered out and discharged on July 10, 1832 near present-day Coldspring, Jefferson County, Wisconsin. 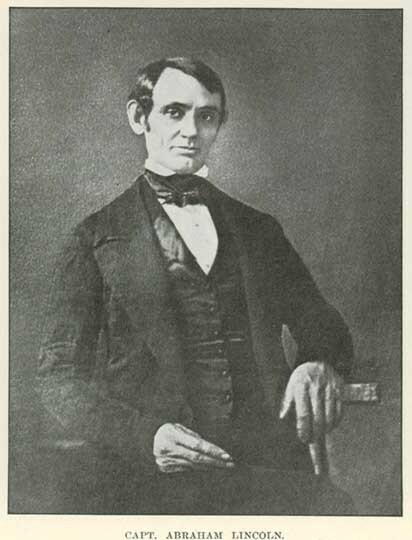 The story goes that Lincoln had his horse stolen, so he and companion George Harrison (not the Beatle) reportedly walked and canoed several hundred miles back to New Salem.